Building and construction giant, Boral, has appointed Kathleen Mackay to the new role of head of digital delivery following a reshuffle of its IT group led by CIO, William Payne. Mackay was formerly GM, IT project delivery and had a ‘small stint’ as CIO before Payne joined in January. Payne has replaced former CIO David Oxnam, who is due to leave the organisation next month. Mackay, who reports to Payne, is driving Boral’s focus on improving the customer experience using new tools and rolling out a culture that supports the use of Agile development methodologies. In her former role at Boral, she ran a team of around 60 staff delivering multi-year waterfall projects that she said worked well but didn’t catch the market opportunity fast enough. “The challenge is how do we become more agile and more adaptable? That’s the intention of this role … in digital delivery we have more of an experience focus so there’s an experience around the customer which sees us stand in their shoes and look at what it is like to interact with us on our digital platforms. We have a lot of plans around how we can improve that,” she said. “But that comes with consequences … whilst we have a great brand, we can’t afford to be complacent in terms of how we deal with our customers," she added. Mackay was previously in various IT roles at NAB, Macquarie Bank, and The Royal Bank of Scotland. Much like the banks, putting the experience more in the hands of internal and external customers is what Mackay and her team hope to achieve at Boral. “For example, internally we are looking at how we make staff as productive as possible and give them the rights tools to collaborate. We’ve brought [solutions] like Smartsheets and we’ve said to staff, ‘go and use these things'. And we’ve just had an explosion in people coming up with great ideas about how they can collaborate and work together better,” said Mackay. Boral's Mackay: "We have a great brand, we can’t afford to be complacent in terms of how we deal with our customers." The effectiveness of new tools was tested when Boral recently shifted its Oracle ERP system into the cloud and used collaboration tools to enhance communication during the around-the-clock implementation over four days. Mackay’s digital team is part of the IT organisation and will be staffed by up to 75 people over the coming months. Outside of the digital team, Boral has enterprise architecture and integration functions, a technical foundation layer (infrastructure and operations), and a commercial team, Mackay said. Mackay said Boral will be making some 'strategic decisions' on technology projects it wants to move forward with but declined to elaborate further, saying the plans were confidential. "We are looking for a completely new breed of Boral digital people and culture. We want to attract the best and be the team that people are falling over themselves to come and work for." 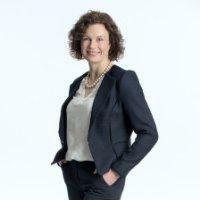 Kathleen Mackay is a member of the CIO Executive Council.